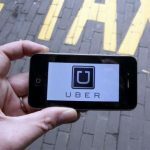 The right of Brighton and Hove to decide its own taxi regulations is being “undermined” by Uber and its use of out of area cars, the city council argued as it defended its decision to suspend the controversial ride hailing app’s licence. Brighton and Hove City Council appealed to district judge Tessa Szagun’s sympathy for localism over the so-called “right to roam” which allows cars licensed in other areas to operate within the city. But Uber fought back, saying there was not a “scrap of evidence” that out of area taxi drivers had been “rampaging into Brighton” and causing harm to passengers, and pointing out the only complaints had been made by local taxi companies. Leo Charalambides, appearing for the council at Uber’s appeal, told Brighton Magistrates Court the implications of cross border hiring as used by mobile apps such as Uber had not been tested in the higher courts. He said: “There were concerns from the outset that the impact of this novel operation needed to be assessed and considered. “If you look at the example of CCTV in Brighton and Hove, that’s a local policy which is rooted in genuine local concerns. “There are 97 Uber drivers in Brighton who have CCTV but 117 registered in Lewes operating in the area which may not have. “My case is an appeal for your sympathy for localism. “Our local councillors are concerned that that the right to roam is having an adverse impact on the application of our local policy. 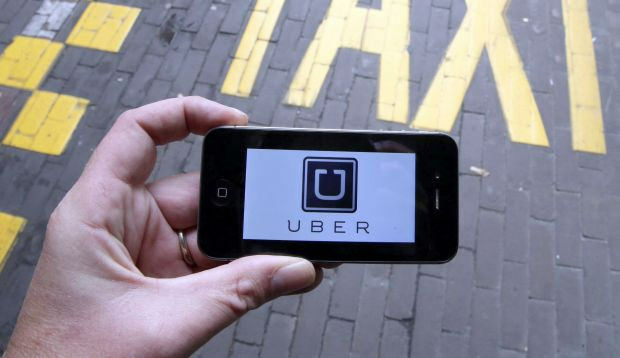 The council’s head of safer communities Joanne Player, said that should Uber “geofence” its app to prevent anyone hailing a non-Brighton licensed taxi within the city, the council would be happy to reinstate its licence. Philip Kolvin QC, appearing for Uber, said it was not the court’s job to apply an unlawful condition, such as geofencing, for the higher courts to then decide on. He said: “The chief magistrate has said the question of cross border hiring is irrelevant to the fit and proper assessment. “This is a perfect example of using licensing law for an ulterior motive. “Are these Uber drivers rampaging in Brighton and causing harm? In fact there’s not a scrap of evidence that speaks of actual harm. “Removing the right for Transport for London drivers to drive here has taken a lot of heat out of this situation. My client is now well on track to meet the 20 per cent wheelchair accessible vehicle requirement when it hits 100 cars. “The heat which seemed to be there in April and May seems to have vanished. The direction of travel is a good one. Fred Jones, Uber’s head of mobility who has been involved with Uber in Brighton since it launched in October 2016, told the court that a web page which unfavourably compared the cost and speed of getting a licence in Brighton with Lewes had now been taken down. He explained the page had been put up after Uber created nine UK regions within which drivers had to be licensed if they wanted to drive there, which meant many London based drivers who worked in Brighton would need to be re-licensed. He also said that Uber had given £1,000 to any driver who applied for a Brighton licence, with a further incentive of 250 commission-free trips once the licence was granted. And he explained that Uber was strongly in favour of cross border hiring because it meant drivers weren’t having to travel back from other areas with no fares, thus driving up congestion and pollution as well as overall fares. Uber originally lost its licence in May following a licensing panel hearing in April at Hove Town Hall after councillors decided it was not a “fit and proper person” to be an operator, citing cross border hiring and a data breach, for which Uber was today fined £385,000. Today’s appeal hearing, which was originally scheduled for two days, finished this afternoon. Ms Szagun scheduled another hearing for 11 December at Brighton Magistrates Court where she will announce her judgement. I heard from a taxi driver about passengers injured in the Steine area a year ago when his brand new black Uber car had a smash – and the driver was not licensed to carry trade passengers. What insurance? That makes no sense. No one can drive on the road without insurance. No uber driver can be on the road to accept bookings without valid and approved taxi insurance which covers them for Hire and Reward. The drivers app will automatically refuse them to go online to work. I merely replied in that way because of the appalling English! Uber is just a giant “ponsie”. Only people who make any money are Ex politicians and prime minister and directors. All they hope is to drive legitimate drivers out of business then rip everybody off. If you think anybody can earn 2K per week you are stark staring mad. If you think that tell inland revenue, they wouldn’t believe you. What’s living in a Council house have anything to do with it. Uber out local cars for local people. Not some money grabbing giant firm with no employment law what makes you think uber care about you!!!! How do you know Uber driver not local?